What comes to mind when you hear about Israel? There is so much that will probably cross your mind. Apart from the fact that it is the only country in the Middle East with a liberal political ideology, the lowest point on earth is also in Israel. This being the Dead Sea which is 1,315m below sea level. Israel also has so much going on in the business world. For a long time, there were numerous Forex brokers operating in Israel but most of these were often companies that were registered in Cyprus. There was little regulatory framework with regards to Forex trading in the country and many Israeli Forex brokers took advantage of this to rip off cliens. In 2009, however, the government through the Israeli Securities Authority introduced a new legal framework that Forex brokers in the country were expected to abide by. 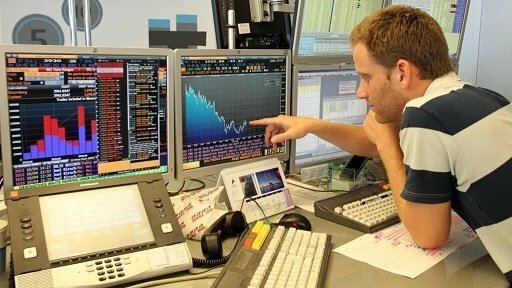 Although Israel’s economy is quite attractive, its Forex market is unique in the sense that all of Israel’s Forex institutional trading is handled by two banks, namely Leumi and HaPoalim. A closer look at Israel’s history in FX trading will shed more light on thedimensions of the market. You can view the table below to get more information about Forex brokers in Israel. Israel’s first currency, the Lira was replaced by the old Shekel in 1980, which was later replaced by the new Shekel in 1986. 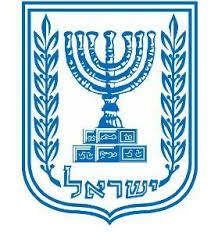 The Israeli New Shekel (ILS) is the present currency for the state of Israel, having been issued by the Bank of Israel. ILS has divisions of 100 agorot and has coins of 10 agorat, 2, 5 and 10 shekalim, ½ and 1 shekel currently in circulation. Israeli New Shekel is entirely changeable and it is used in foreign exchange markets to trade currency futures. As earlier mentioned, Israel’s economic market is highly advanced in terms of technology, hosting a substantial number of tech companies. The State of Israel further joined The Organisation for Economic Co-operation and Development is an intergovernmental economic organisation in 2010 in a bid to boost its economic growth and global trade which involves military equipment, raw materials, crude oil and grain in imports and agricultural products such as fruits and vegetables, high-tech equipment and cut diamonds as export. A negative balance of trade is cancelled out by foreign investment inflows, service exports and tourism. Israel was however hit by the 2008-2009 global financial crisis that saw a decline in business activity but was back on its feet faster than most countries thanks to the flexibility of its banking sector and cautious government spending and taxation. 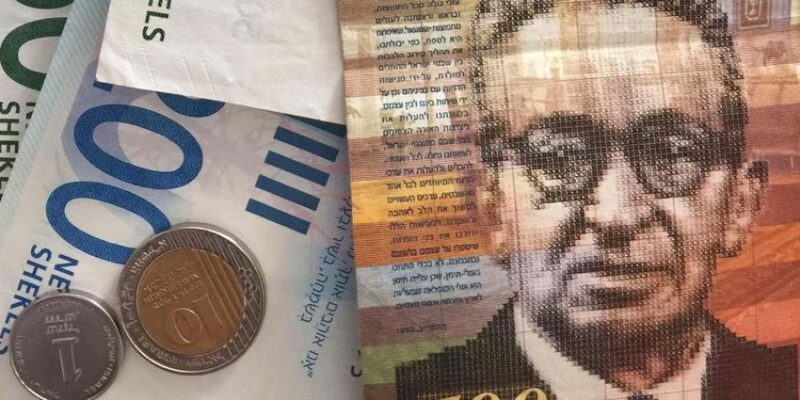 After the introduction of the New Israeli Shekel which was necessitated by the recurrent depreciation of its initial currency, the government and Bank of Israel has been able to do an outstanding job in maintaining the stability of the currency. How so? It has been made possible by the cautious monetary and fiscal policies that have been put in place. Since 1st January 2003, the country has been able to enjoy the convertibility of its currency and its exchange in every corner of the world. Furthermore, the currency became fully convertible after CLS Bank International declared that it would make settlement on payment instructions on the ILS on 26th May 2008. On 7th May 2006, derivative trading had kicked off on the currency, making it one of the currencies extensively applicable in the foreign exchange market for currency futures contracts. Israel’s banknotes and coins are produced in Switzerland and South Korea as it has no mint to produce them. In as much as FX trading is increasingly becoming popular in most nations, which include the State of Israel, there has been a need for the country to come up with its own rules and regulations to mitigate scam, insider trading and fraudulent activities. Israeli Securities Authority (ISA) was founded in 1968 as the regulatory body of Israel’s forex market with an objective of preventing malpractices in the industry. The body has managed to come up with very strict regulations that most brokers have failed to come to terms with and opted to look for licences in other countries. Therefore, most forex brokers based in Israel have licences acquired from other countries and their clients are also mostly from other countries that surround the region. The reason as to why Israel is sensitive about forex trade is its past track record and problems associated with the market. That is fake brokers who were exploiting retail investors who were unaware of their fraudulent ways. The execution of the regulations is in accordance to Amendment 42 of Israeli Securities Law, enforced in an attempt to supervise practices of firms administrating trading platforms and supplementary platforms’ undertakings to absolute caution by the Israel Securities Authority. The trading platforms are prone to a range of restrictions that encompass licencing conditions by the ISA, comprehensive reporting of assignments to the client and ISA, nominal integrity requirements, roles in regards to handling of conflict of interest, embargo on equipping clients with advise on investment, laws on marketing and authorized leverage on tangible liquid assets. The rules and regulations demand that the trading platform assumes a procedure whereby the propriety of the client to the trading practices and relative risks is discerned. In addition, the laws require that the process is documented and provides questionnaires and other forms of tests that facilitate the trading platform in assessing the client’s perception of the risks associated with their practices. The trading platforms are also expected to provide adequate funds to take care of credit risks, operating risks, market risks and liquidation risks and further support the creation of techniques that would be used to handle risk. The approved leverage scale on a trading platform for the client relative to the traded financial asset is stated as follows. High-risk assets are authorized a leverage ratio of 20:1 of the traded value, with the medium and low-risk asset having a leverage ratio of 40:1 and 100:1 respectively. Trading platforms are also required to present monthly, credit risks, market risks and activity records to ISA. In addition, they are also obligated to give clients approvals made on transactions that consist of material that are concerned with transactions that have already taken place and the collective balance of a particular asset in alignment with the transaction, bi-weekly and comprehensive monthly reports. Failure to comply with appropriate licensing may cause one to be subjected to administrative and criminal proceedings that incorporate assent of forcible detention and fines. The practices of a reliable broker must be governed by a formal regulator to ensure that brokerage operations are honest and protected. As a trader, you should at all times be shielded from malpractices involved in the sale of futures. An Israeli broker should be registered with Israel Securities Authority as a retail FX broker. It is also imperative that a trader carries out some research on the reputation and history of the broker by affirming when the particular broker attained the license. ISA has regulations regarding the safety of traders’ financial assets. More reason as to why one needs to get a regulated broker because they are all subjected to a capital law that is aimed at protecting the client’s assets. The broker should also have the trader’s funds kept in separate accounts in order to avoid instances whereby the funds are used for reasons other than the traders’ interests. Customer service is an essential aspect to consider when choosing a broker. New traders will require all possible assistance, not to mean that veteran traders do not need support. As a trader, one is bound to run into a problem that customer support is capable of taking care of. Customer support is imperative for an FX broker. A trading platform is a bridge between the trader and the FX market. It is an essential instrument used by a trader to carry out their operations. The broker’s trading platform should have an interface that is easy to navigate and allow the trader to perform functions efficiently and within the shortest time possible. Deposit and withdrawal of funds are one of the major operations of a trader. This means that the broker should be able to offer a means that allow the trader to easily make deposits and withdrawals. The options of these transactions need to be flexible and diverse. It is important to take time to research and identify how long it takes one to transact in order to avoid conflict in the future. Leverage is basically the apple of the eye of the Forex market. When choosing a broker, it is important to confirm that the leverage is feasible. It is important to comprehend the pros and cons of leverage offered by the brokers.in relation to the economic status of the country in one given time. Due to the strict regulations that are also applicable in attaining licenses for brokerage firms, most of the brokers have decided to go pseudo and use fake names to run illegalbusinesses or rather scam businesses in the name of being based overseas. The foul play is easy to fall for reason being, the strict rules have made so many brokers to get licenses from other countries. This has led to the pseudo brokers manipulating traders to make deposits which they later use to yield profits for their own companies, more so unregulated. This has exposed traders to a potential risk. The stringent rules and bans on FX brokerage in Israel have wiped away any interest that there might have been in understanding the forex market. Very few brokerages are equipped with detailed know-how on how to conduct the trade. This is to mean that the regulations may have played a role in the decline of expertise in Israel’s Forex market. It has become a concern that Israeli authorities have teamed up with the media and the police to mitigate the constraints. For a while now the FX brokers left in Israel have been operating on offshore regulators framework. This was due to the numerous loopholes that the market has been faced with over time. However, there still are reliable and trustworthy brokersyou could work with. Forex Time is a broker regulated by a number of bodies, one being the Financial Conduct Authority that provides trading services for Forex and CFDs. It is an award-winning broker with over 400,000 registered accounts. It caters for both institutional and retail clients offering a wide range of platforms that include Android, MT4 and MT5. It offers a high leverage of up to 1:1000 and the traders are able to make instant deposits and withdrawals free of charge. eToro boasts the top position in social trading networks and online forex brokers. It is registered and regulated by two bodies namely Cypriot Investment Firm and Cyprus Securities and Exchange Commission. E Toro’s over 50 million clientele get to enjoy CFDs and currencies trade in more than 170 countries. In addition, it has platforms with user-friendly interfaces that can easily be accessed by devices such as tablets and smartphones. To better the client experience, e Toro also offers 24/7 customer support and offers rewards to its most outstanding customers in form of cash prizes.